Gregory Clark, soldier and journalist | Random Thoughts: If not now, when? Someone asked me about Gregory Clark‘s books. This is THE Gregory Clark, Canadian journalist: soldier, reporter, humourist, and family man, not the American fellow who writes about economics. 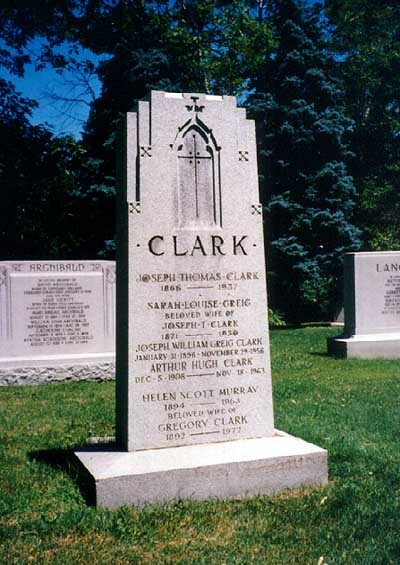 Clark fought in World War I, winning the Military Cross at Vimy Ridge, and reported on World War II. Greg Clark’s father, Joseph T. Clark, was the editor-in-chief of the Toronto Star. Clark worked for the Star for many years and developed his famous humour columns, often embellished with a cartoon drawn by Jimmy Frise. Clark’s son, James Murray Clark, was also a Star journalist, but was killed in 1944 while serving with the Regina Rifle Regiment. Clark died in 1977. The Canadian Journalism Foundation created the Greg Clark award in his honour. Greg’s son Murray was KIA in France fall of 1944. You can see his identiy file on Canada’s ‘Virtual War Memorial’ J M Clark, also of the Star. There’s a plaque in the lobby of the Toronto Star. The Toronto Star fails to display an image of its 2WWs Honor Roll, but a photo has been copied to some of the war-dead staffers Canadian “Virtual War Memorial” identity files. Greg Clark an unforgettable figure..
Greg Clark is one of my favourite Canadian authors. I have most of his books in my collection and am fortunate to own his binoculars, which he probably aquired when he was in Germany as war correspondent since they are German military issue .